Look, full disclosure, I don't own a desk right now. I'm sat typing this on my bed, feet hanging off the edge, longing for the day I might be able to any one of the desks as grand and creative as this. Despite a lack of ownership I spend a lot of time thinking about desks because a writer can dream! I just need only to look at these spaces and I can feel an avalanche of creativity rumbling across my mind! This desk is anything but ordinary, and you have to admire that in a desk. I like to imagine the owner build it gradually over decades, with great love and determination. Life is messy, books are messy, and this is kind of messy too? And I love it. Not going to lie, this desk situation is very grey but tbh I still love the bold lines and the quiet in my mind I feel when I look at it. This desk is incredible because of the space its in. I can see the imagination flowing and the words tumbling out from this location.
. 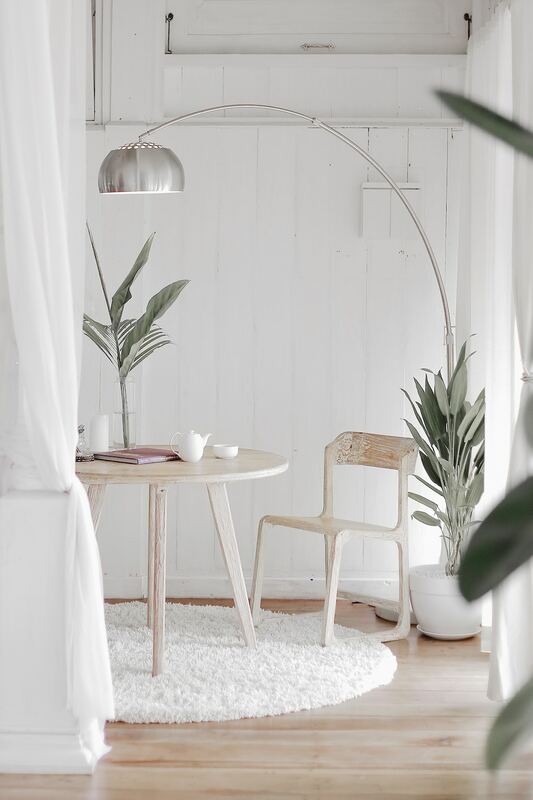 I've been reading a lot about lagom and minimalism recently and I just love how this embodies some of the main ideas. Plus, I think any desk with a view is very cool! Okay, this is the same desk but just look at it! I am having indecent thoughts about this desk it is so wonderful. I do wonder whether the chair is actually comfortable but there's only one way to find out and that's to sit down and write! For my next novel I want to write on a jungle desk. I've already started amassing tropical plants, now I just need a desk. Who made this, this is glorious. It's everything you need in a desk. I love a desk that looks like it's used an lived-in. This feeds very nicely into my fantasy of living in a tiny home. This just goes to show that size isn't everything when it comes to a desk. No room? No problem! I love the height on this desk and how cozy it feels. I love the colours surrounding this desk, plus the use of older furniture. 10/10, sometimes you need a corner as stylish as this to write. I am minorly obsessed with lights, fairy lights in particular, so this gets special points for its mixed medium approach combining lights (fairy) with metallic and grey hues. Basically, this is quality af. by us. The beauty of this desk is that it really limits the amount you can get distracted. Everything has a home, and everything is in it. You've got nothing else to go tangenting on but writing. I love tall desks. Look at all the space these is for for books! If I could, I think I'd buy a home based on how tall a bookcase I could have. Not going to lie to you, this is a very similar desk. It just looks like a space you could lose yourself to, you know? I could go on for hours. What's your ideal desk? Do you already have it? Update: I have made my own desk! What do you think? This was made on the low low budget of no money out of pallet wood.